With its idyllic scenery and wide array of recreational and leisure activities to enjoy, the Ross Barnett Reservoir in Brandon offers a superb real estate opportunity. 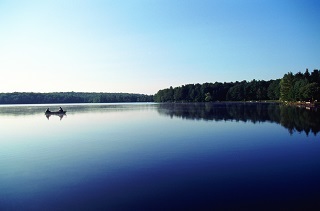 The reservoir, located in the charming area of Brandon just outside of Jackson, offers outstanding real estate deals, breathtaking scenery and a rich variety of activities for residents of all ages. For those seeking real estate in the Brandon area, the bucolic Ross Barnett reservoir has plenty of great options to look into. The Ross Barnett Reservoir Brandon MS real estate market enjoys strong property values and picturesque scenery all around. Ross Barnett Reservoir Brandon MS homes include elegant single-family homes as well as affordable starter homes and convenient vacation homes with scenic waterfront views. Ross Barnett Reservoir Brandon homes and other types of Ross Barnett Reservoir Brandon real estate choices also offer low interest rates and property prices well below the national average, making them very affordable and accessible for all sorts of prospective buyers. Ross Barnett Reservoir Brandon homes for sale and other types of Ross Barnett Reservoir Brandon properties offer plenty of great deals for families, retirees and vacationers alike. The Ross Barnett Reservoir was constructed between 1960 and 1963 to supply clean drinking water to nearby Jackson. The reservoir has since become a prime real estate location, attracting families, retirees and vacationers to its picturesque shores and affordable property options. Many public parks dot the edge of the reservoir, including Old Trace Park and the scenic Lakeshore Park. Many beautiful trails and rustic campgrounds can be found nearby as well. The reservoir is perfect for a rich variety of activities to enjoy throughout the year, including camping, hiking, mountain biking, fishing, boating and bird watching. Attractions include the reservoir itself, renowned for its excellent fishing and outstanding boating opportunities. Other local attractions include Old Trace Park, Lakeshore Park, Pelahatchie Shore Park, numerous campgrounds and the popular Leake County Water Park. Nearby attractions can also be found in Jackson, home to intriguing museums, rich historical sites and beautiful parks. Local events include the popular WaterFest celebration as well as local sports games and concerts in nearby Jackson. Those looking into buying a home in the Ross Barnett Reservoir neighborhood of Brandon should call Judy Wahba and the Real Estate Partners team at 601-942-2683. With its picturesque waterfront views and affordable prices, real estate near Ross Barnett Reservoir is one of the best investments you can make in the Jackson area.